A pergola is a very important structure because it makes your living space for dining and seating a very attractive place. It may be a standalone structure or the one that is meant to cover a deck. It is basically made of rafters and supports and vines and other plants grown around or through them. 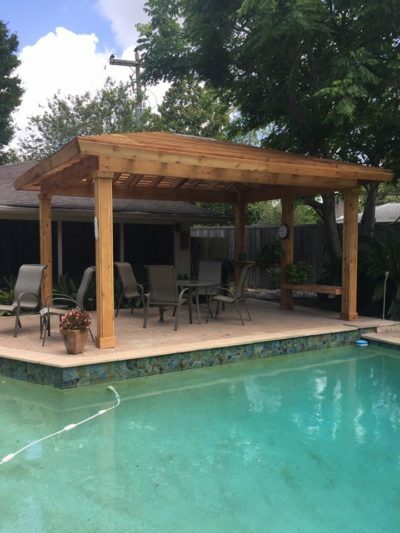 In the past, a pergola was just a custom-like construction but this has changed to be a kit that may be bought then assembled either by yourself or a specialist. 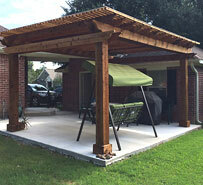 Like any other construction, building a pergola is a complex process that involves a number of phases. When planning, you need to measure your outdoor space which determines the size of your pergola and factor out materials and design. Materials may be wood, metal or fiberglass but the most common one is wood. You may decide to attach it to your home or build a freestanding one and include stereos or lighting thus affecting the cost of construction. The unit is mainly comprised of primed and stained wood assembled systematically to make a good design. However, the footing of the structure has to be made of concrete to ensure stability and strong support. Additionally, you need to make the floor out of bricks or quarry stones. Having a pergola in your deck provides a nice shade with a good outdoor design. 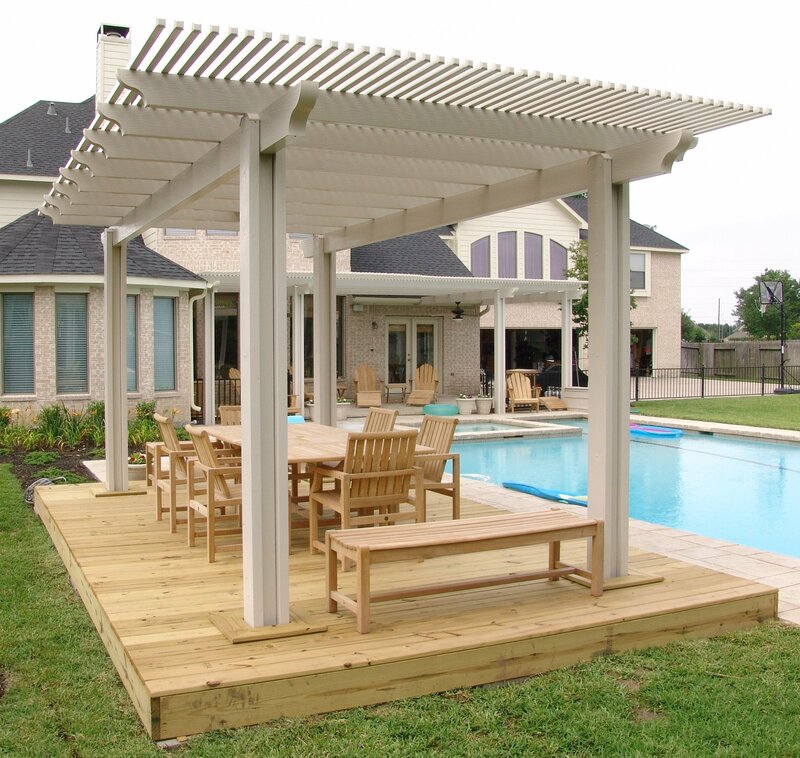 If you want to design your own pergola, there are some of the most basic things that you need. First of all, you will procure posts, screws, boards, foundation, floor material and all other requirements then fix them appropriately. This costs roughly $3,100. On the other hand, you may hire a professional who will charge you approximately between $4,000 and $6,000 with the service fee. The quotation also includes the cost of purchasing materials as well as that of labor. However, it is good to bear in mind that the job is fairly complicated since it involves pouring cement to make footing, making the floor as well as assembling the kit. Therefore, before you decide on whether to do it yourself or hire a pro, get a free estimate, consider the experience, the credibility and effectiveness of the contractor, the composition of the job, payment terms and the period it takes to complete the task. Additionally, it is advisable to check with the local construction department for code requirements to be followed. At times, you may be required to conduct repair and maintenance on the pergola. 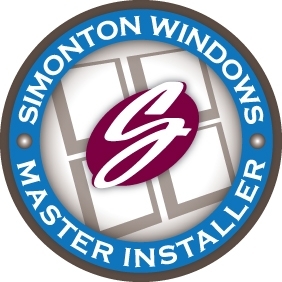 The cost of maintenance varies depending on your specification. Therefore, your budget estimates should include repair and maintenance costs.